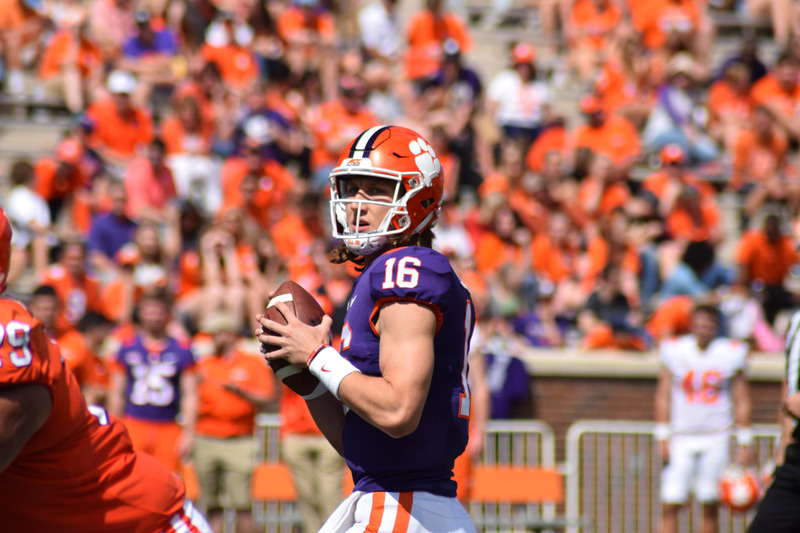 Clemson quarterback Trevor Lawrence, the first winner of the Shaun Alexander/FWAA Freshman of the Year Award, drops back to pass in Clemson’s 2019 spring game. Alexander honored Lawrence with the trophy at the game. Photo by Mike Griffith.